Aubergine False Nails Set These nails are inspired by Cosmos atrosanguineus chocolate scented flower. A very dark almost maroon crimson red flower native to Mexico. These nails capture the essence of the richest deepest burgundy and like the flower are among the rightful royalty of the world of nail art. Our Artplus False Nail selection ranges from plain rich colours to airbrush nails right the way through to our soft touch false nails. 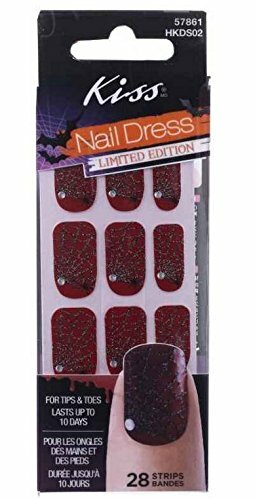 We offer bold metallic bright fake nails with glitter effect, sparkly nails with crystals, rich luscious full cover red, black, blue, green, and elegant white colours. All Artplus False Nails are made from high quality raw materials. We apply strict quality control measures to not only meet all international safety standards but to make every effort our customers receive a quality product. Each Artplus Fake Nail Set includes 24 Nails, 2g stick of glue, nail file and cuticle stick. If our nails are applied correctly they normally last up to 5 days. 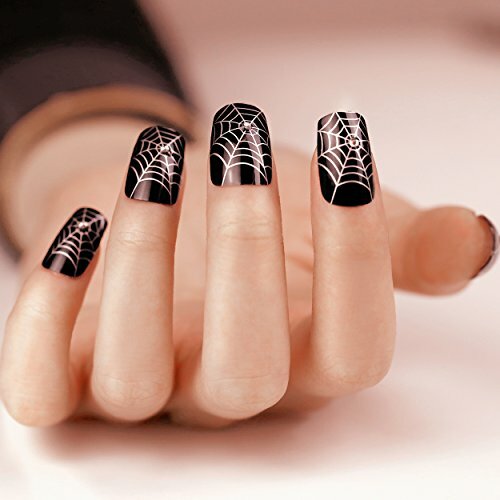 A perfect complement to your Halloween costume or Halloween festivities! Comes with 6 different designs (one of each design)! 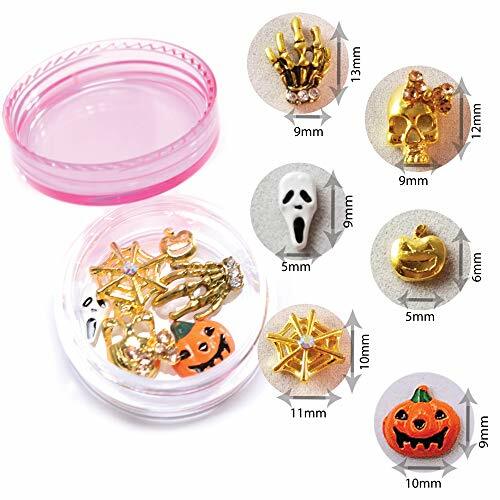 Designs include: pumpkin, gold pumpkin, gold toned skull with bow, ghost, gold toned skeleton hands, gold toned spider web Measurements of each charm are included in the image. Nail art stamping plate. Made of steel. Measurements: 12 x 6cm. Comes with blue protective film on the surface which needs to be removed before use. Contains images of skulls, web, spider, flowers etc. XL double sided stamper + 2 scrapers. Large silicone stamper and 2 plastic scrapers. The large white silicone head is ideal to use for big image designs. Diameter is 3cm. 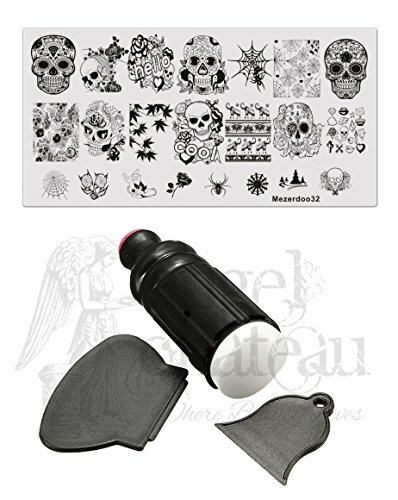 The stamper also includes a smaller rubber head for small image designs. Diameter is about 1.5cm. For better stamping results we recommend that you file the white silicone head with nail file to remove the shine before use. 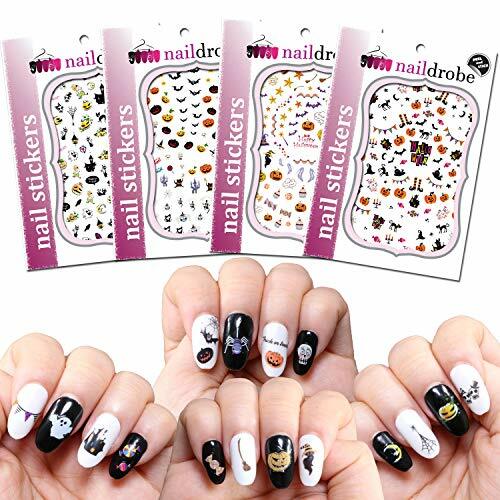 Naildrobe nail stickers are the easiest to use! Just peel and stick! 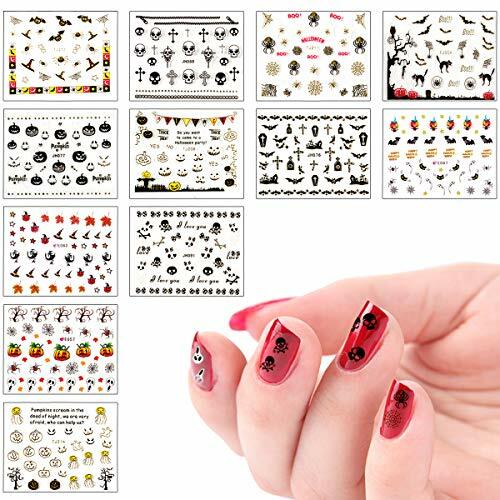 Whether you want to apply them over your natural nails, artificial nails or over your favorite nail polish color (regular or gel), these stickers will make your nails look like you had a professional manicure done but without the time and money you would spend at a salon! They are thin yet extremely durable and last 1-2 weeks, depending on your top coat! They even show up great on all polish colors! Each 4.75"x3" sheet comes with 50 to 100 stickers (varies by design). There are 4 sheets in this pack! 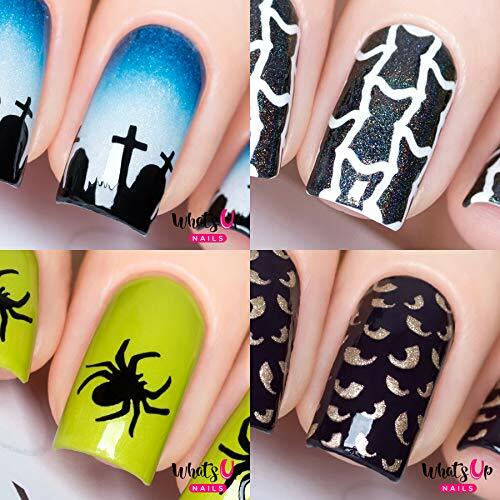 Limited Edition Kiss Halloween Nail Dress from the 2013 Halloween Collection. Includes 28 strips in 14 sizes and a nail file. Lasts up to 10 days. Easy to apply and take off without remover. Great addition to any Halloween costume, or for the girl who likes to express her individuality. 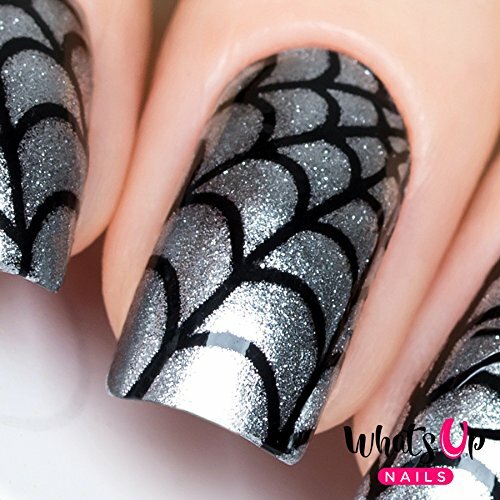 Halloween Nail Art: Spider Webs with a Twist!